By rail to Kudat and S'kan | Daily Express Online, Sabah, Malaysia. 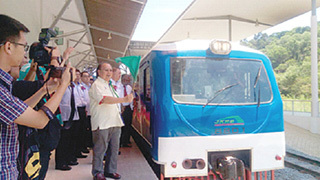 Kota Kinabalu: Deputy Chief Minister Tan Sri Joseph Pairin Kitingan said efforts to enhance rail services will be continued to meet the expectations of the public who are constantly demanding better, reliable and more effective public transport services.This includes a Federal Government RM1m feasibility study on providing rail services to Kudat and Sandakan. "The provision of rail services to Kudat (north) and Sandakan (east) is in the pipleline," he said. Pairin, who is also Sabah Infrastructure Development Minister, said the study was also aimed at identifying the modern communication equipment suitable for use in addressing the safety aspects along the existing 134-kilometre line from Tanjung Aru, here, to Tenom. 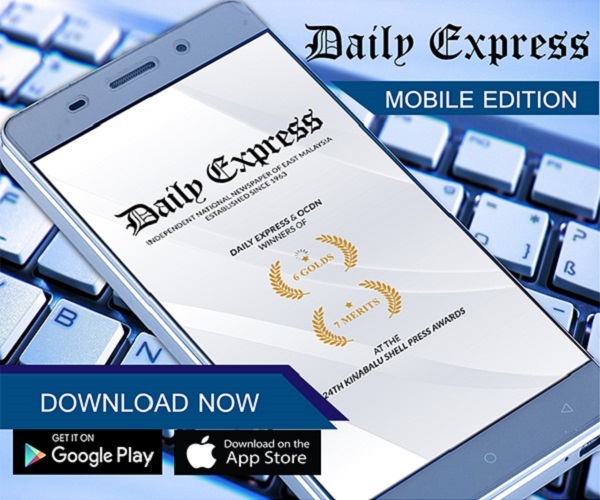 He said a Diesel Multiple Train (DMU) set containing three units was launched Monday in an effort to improve the public transport system in the State. "The new DMU will be used exclusively for the Beaufort/Tenom sector in addition to existing assets and will certainly be able to increase the capacity of the Railway Department to provide more comfortable and reliable services, particularly to the public who rely heavily on rail transportation." He said the DMU was acquired at a cost of RM7.62 million with a passenger capacity of 192 people and has a speed limit of 90km per hour. Pairin, who is also Minister of Infrastructure Development, said according to Railway Department records, the number of passengers who used rail transport in 2016 stood at 494,638. He said at the same time the department had recorded a total of 134 cancellations of services which were inevitable due to technical problems and the weather. "The cancellation records showed a significant drop when compared with the cancellation records for 2015 which recorded a total of 762 cancellations. "The drop is due to the efforts by the department in updating their maintenance and operation procedures. These efforts will be further enhanced so that a more consistent and reliable service can be achieved." Pairin said this to the media at the launching of the DMUs at Tanjung Aru Railway Station here. Also present was department General Manager Melvin A. Majanga. Pairin said in addition to the new DMU, the department had also acquired two rail buses, each with a capacity of 60 passengers, which are already operational between Tanjung Aru and Beaufort. "In addition, the department has also started using a tamping machine for maintenance of runways in a more systematic and effective way this year. All of these assets are acquired at a cost of RM13 million through State Government funding. 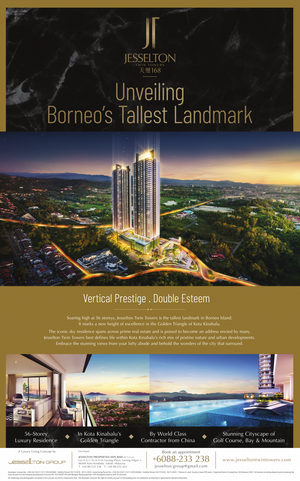 "Under the 11th Malaysia Plan, the State Government has approved a ceiling of RM47 million for the period 2016 to 2020 to finance the development of the department. "In 2017, a total of RM5.43 million allocation has been approved to carry out projects such as road repair, railway equipment, machinery equipment acquisition and upgrading of the department's signalling system. "In addition, also in the 11th Malaysia Plan, the Federal Government through the Ministry of Transport has approved an allocation of RM99.5 million to upgrade the rail tracks from Halogilat to Tenom and to acquire three new sets of DMUs. "Both projects are expected to start this year and each will be completed within 18 months and 24 months." Pairin said the Federal Government has also approved an allocation of RM1 million this year to conduct a study that aims to identify modern communication equipment that is suitable for use in increasing the level of safety along the track from Tanjung Aru to Tenom. He said as a step to further improve the skills and expertise of department employees, a memorandum of understanding between the department and Train Tanah Melayu Berhad (KTMB) was signed on May 18 last year. He said the department has also been working with the Department of Skills Development in the training of technical and operations staff through the National Dual Training System (SLND), where a total of 15 officers and employees of the department have already completed Phase 1 and 2 programme and, in turn, will receive certificates in a convocation to be held this year. Pairin said in terms of safety, the Infrastructure Development Ministry has placed emphasis on this and various efforts have been made from time to time to avoid accidents from occurring. "The measures taken included carrying out maintenance work on the track to avoid derailment, set up warning signs and provide access roads." He said in addition, the department has also been advised to continue to conduct public awareness campaigns through the distribution of leaflets among school pupils and hold dialogues with the public about the risks of failing to comply with warnings established in prohibited areas. "In connection with this, I ask the public to be cautious, especially when crossing train restriction areas, specifically at all level crossings either controlled or not. Make sure that the warnings are observed so that accidents can be avoided. "Trains cannot turn left or right to avoid obstacles ahead. Trains only move forward on the tracks. In addition, the train cannot be stopped immediately as heavy machinery requires some distance to stop. "I also ask for the cooperation of all parties in order not to damage or vandalise signs placed along the route of the train because such actions result in waste and would thwart efforts by the Government in delivering messages that can prevent accidents and help save lives." installing/repainting faded yellow boxes, install/repaint the yellow bar lines on paved roads; improve the original crossing system; add additional crossing guards where not sufficient or, if possible, outsourcing railway crossing care; installation of CCTV systems at each crossing; improve the installation of warning signs at crossings, including the installation of warning signs on the road as far as 400m before entering the crossing (requires the cooperation of the Public Works Department); clearing of vegetation around the railway crossing on a regular basis; recommend that all railway crossings have fully automatic level crossing system installed; pave all the roads entering the railway level crossing; and close some minimum protection railway crossings by building slip road networks as required. "For future plans, my ministry through the State Railway Department will continue to play an important role in providing and expanding public transport reliability in accordance with the state and national development agenda.